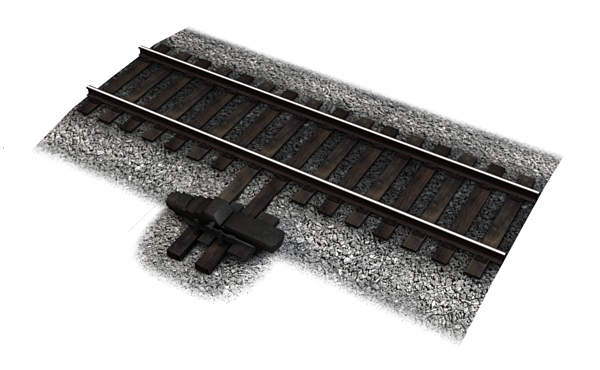 High-detailed, height-adjustable wood track. 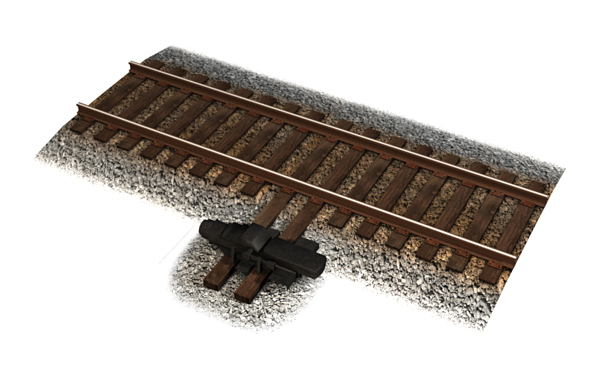 Includes three different style wood tracks, each with their own matching high-resolution (1024x1024) ballast ground texture and matching GRS Model 5 Electric Switch Motor. 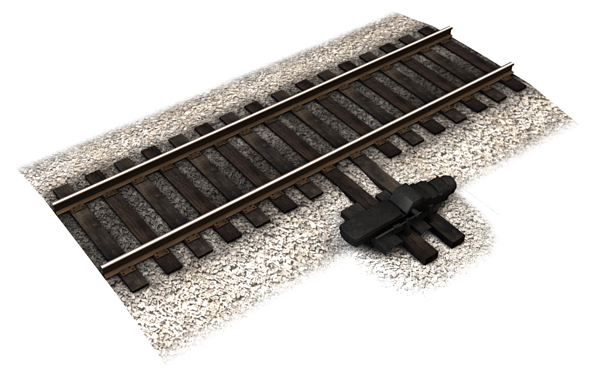 Track automatically conforms to the ground height, but adjusting track to +0.1 meters above the ground gives proper display. Wood sleepers have been used for as long as trains themselves. 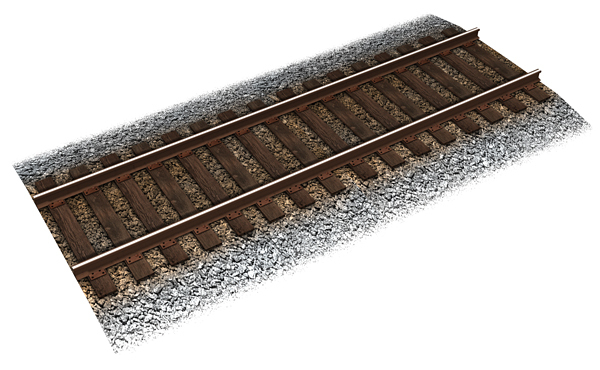 Wood sleepers have the ability to "absorb" the forces of the train over the track better than rigid concrete sleepers.